Perhaps the real point of a support band is to warm the crowd up for a headliner, and so we must start the review of Brix by giving a huge mention to both support acts tonight (GGAlan Partridge and Swine Tax) who were excellent. Both given 30 minutes to play (enough for about seven songs) their sets were interesting, unique and filled with well-crafted songs, GG with their post-punk strangeness and Swine with their pop indie melodies. Those two bands alone would have been worth the price of the ticket. Fully warmed up, Brix and the Extricated were, as expected, a technically excellent band of weaponised chaos. Entering the stage in blindfold, Brix’s performance was both artistic and a timely reminder of the melodic temperament she brought to The Fall; swapping sonic drones for a higher resolution sound with more defined structures. Given her recent solo releases, it’s no coincidence that The Fall’s golden period, and most accessible music, was created under her watch, something that is apparent tonight with the Extricated’s search for guitar drenched art-rock. 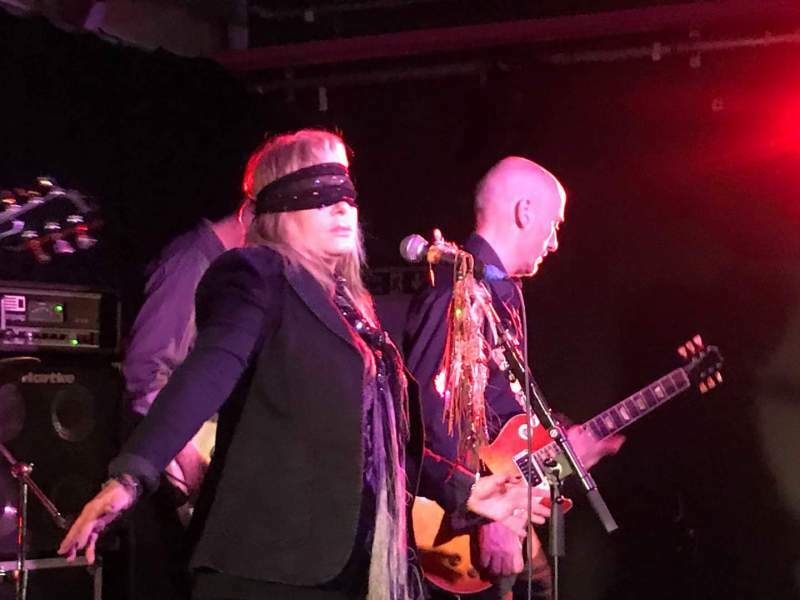 Equal parts drone to melodic, Brix and the Extricated continue to challenge the conventional wisdom of who was the creative brains in Manchester’s finest band.